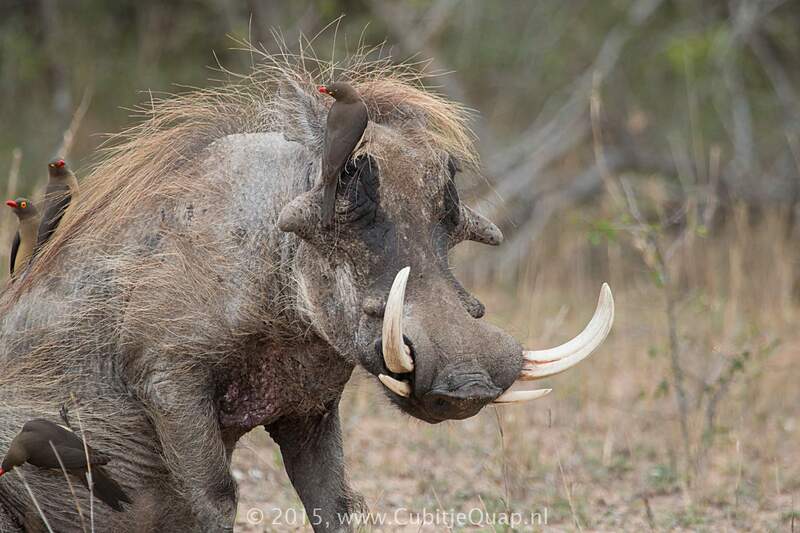 Often described as ugly and grotesque but not without appeal. 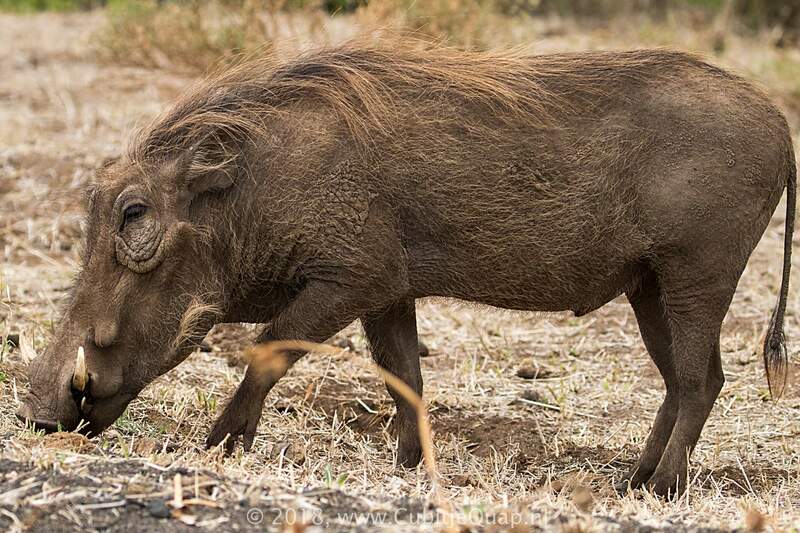 Grey with sparse, dark, bristle-like hairs scattered over body, and mane of long erectile hair along back, which les flat except when warthog is under stress; mane may be yellowish-brown to black in colour. 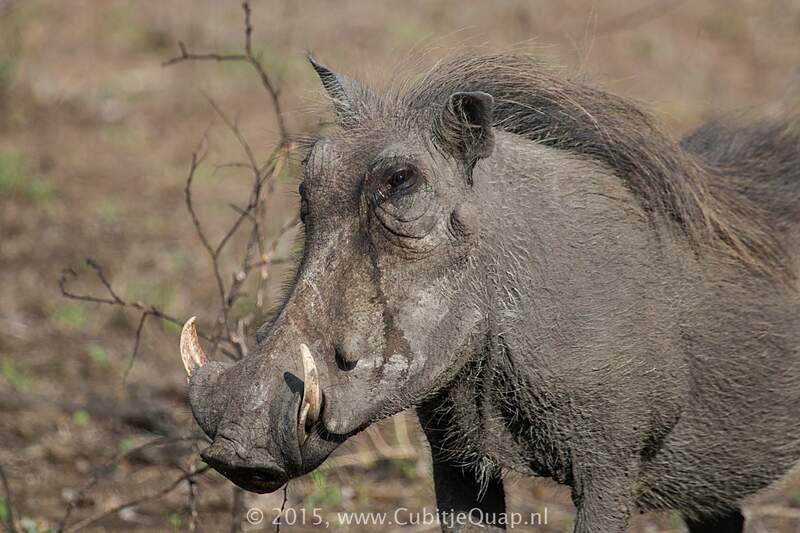 Tufts of pale-coloured whiskers lie along side of face. 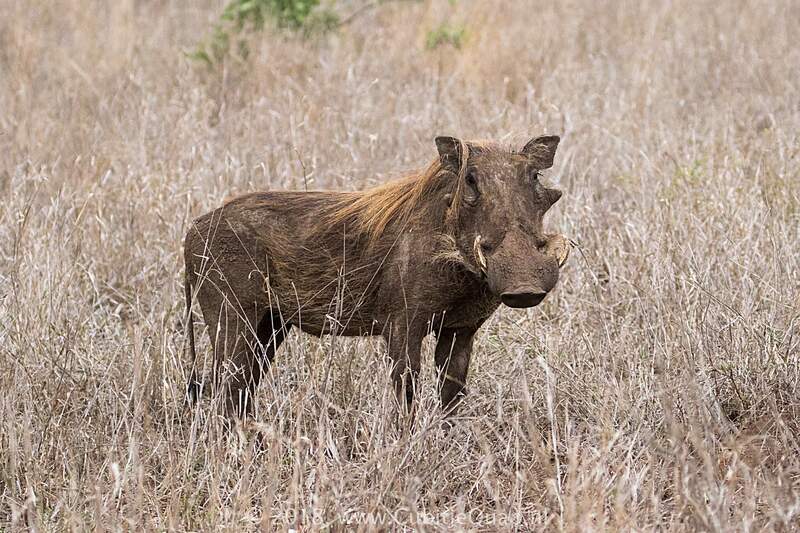 Snout is typical pig-like and prominent wart-like protuberances are present on face - two pairs in male, one less- conspicuous pair in female. 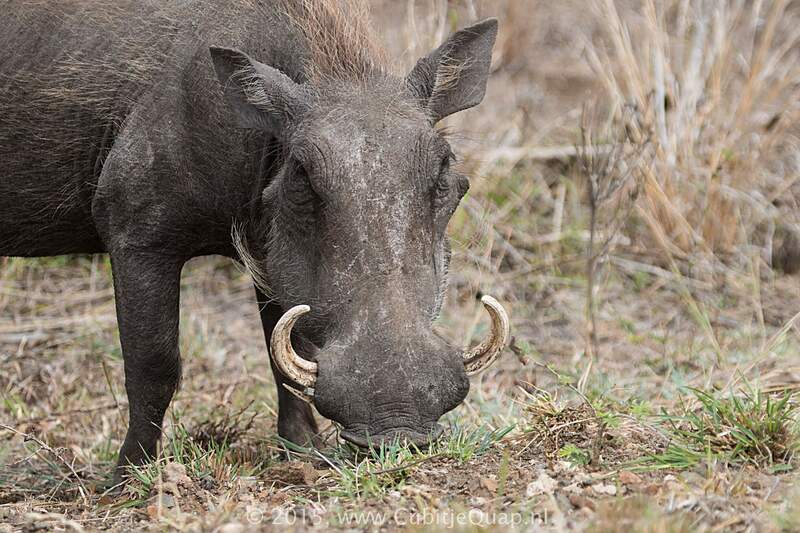 Canine teeth of adults develop into long curved tusks; those of the boar may reach considerable lengths and make effective defensive weapons. 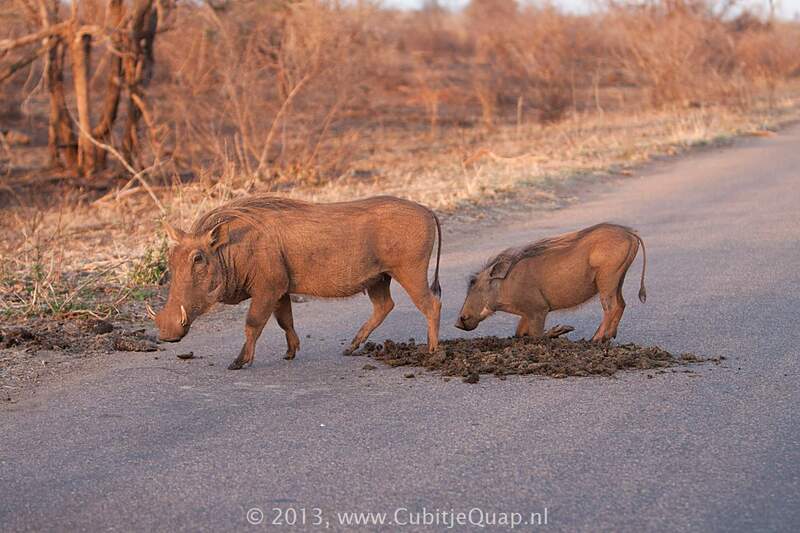 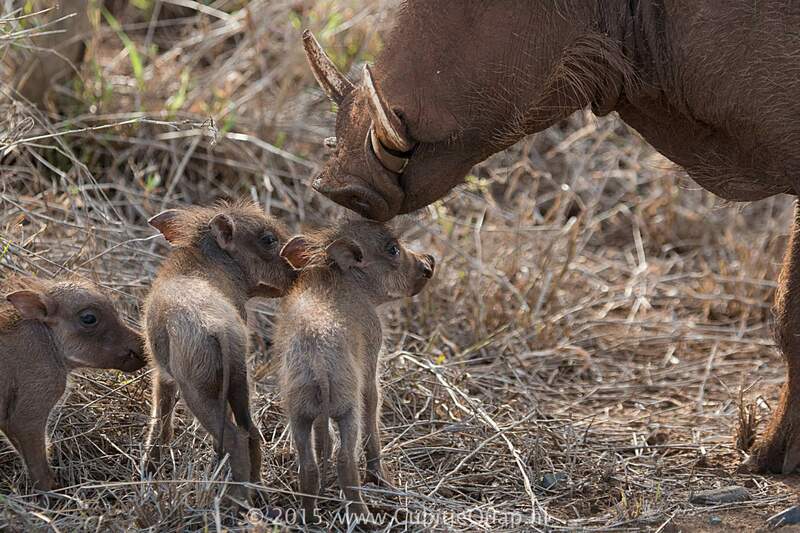 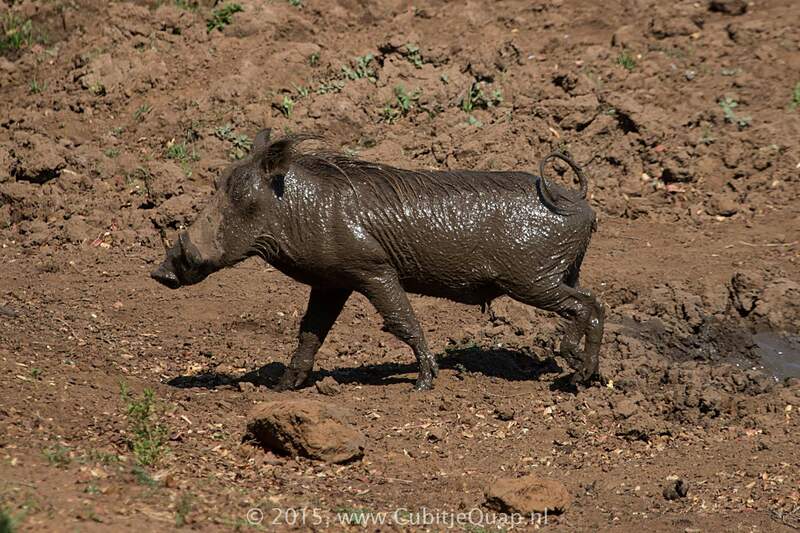 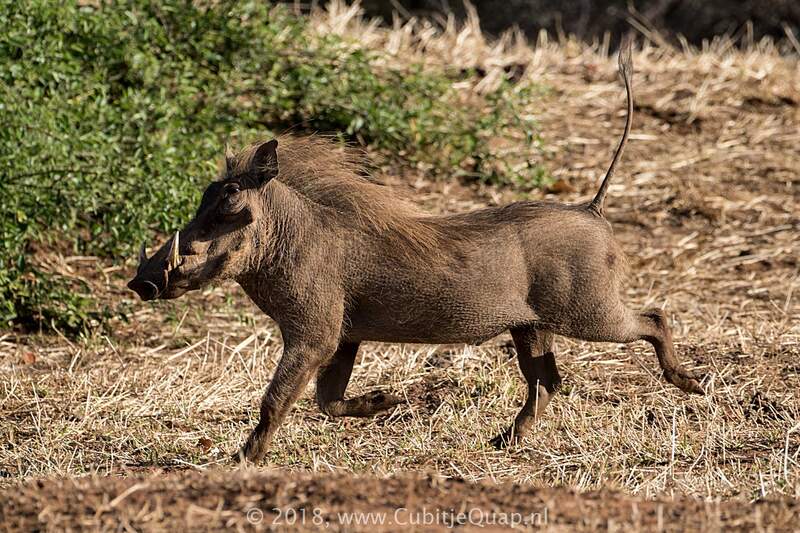 Thin tail with its tuft of black hair is held erect when warthogs runs, unlike that of bush pigs. 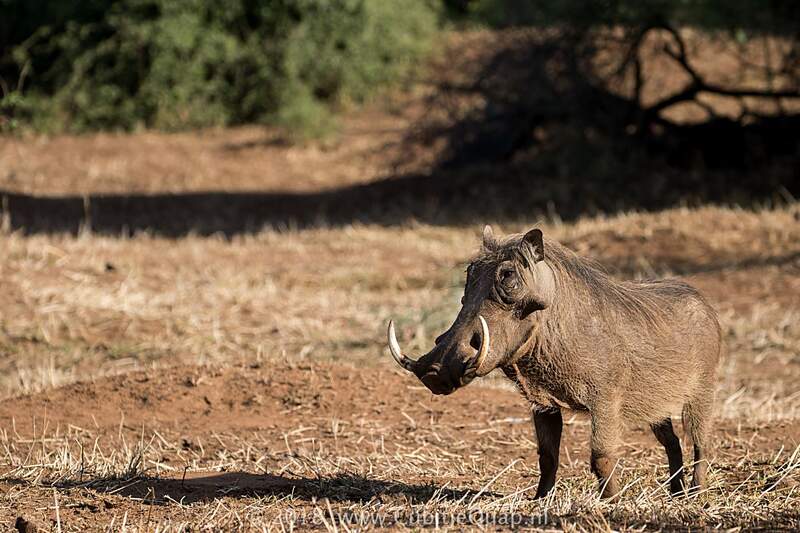 Open country, but also light wooded areas and savanna. 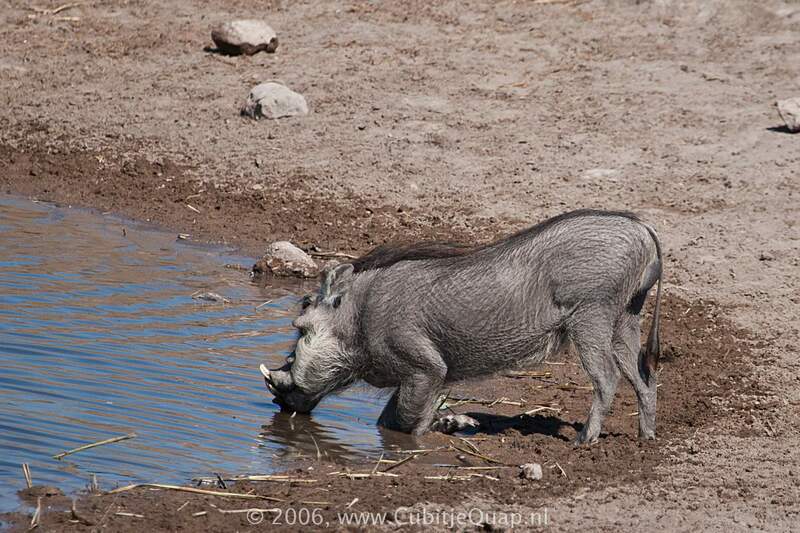 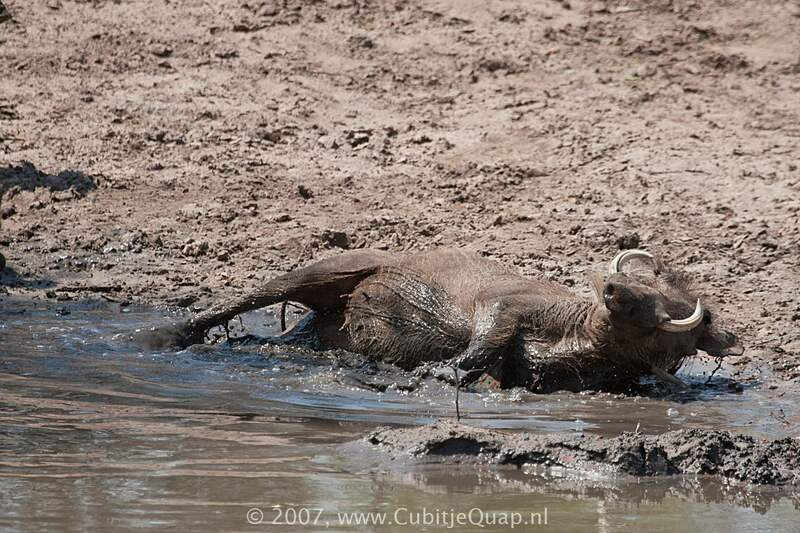 Warthogs are mostly diurnal but sometimes nocturnal. 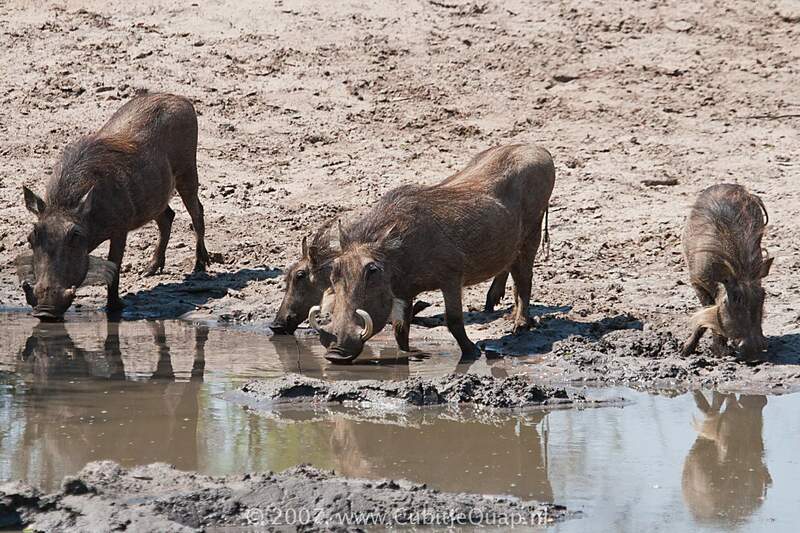 Groups or sounders of warthogs usually consist of sows with their young or bachelor groups. 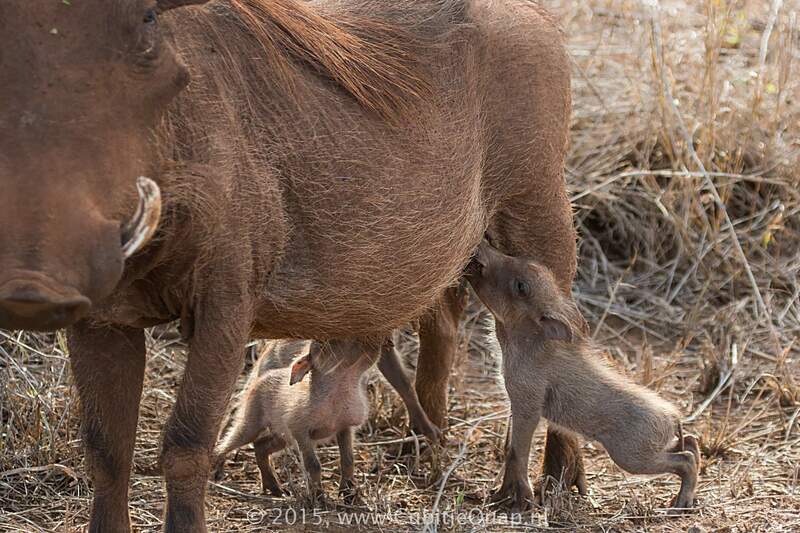 Sexually active boars usually move freely and alone except when with a sow. 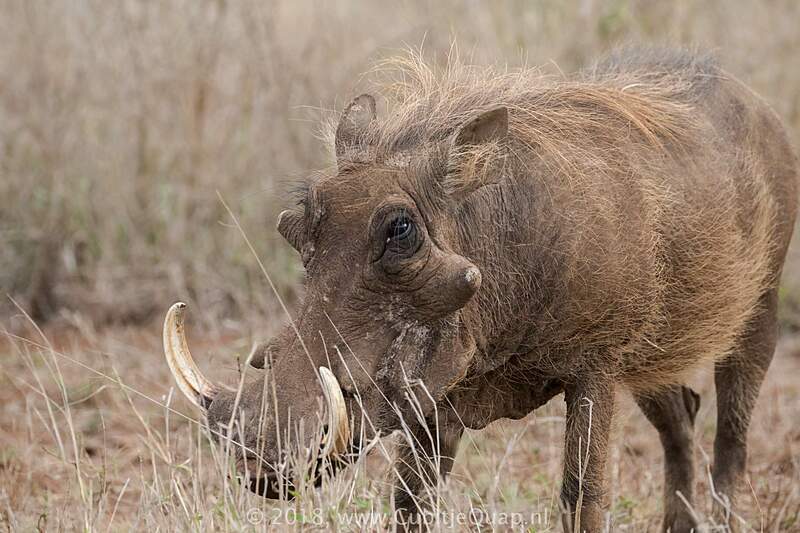 Warthog can dig their own burrows, but they usually take over aardvark holes. 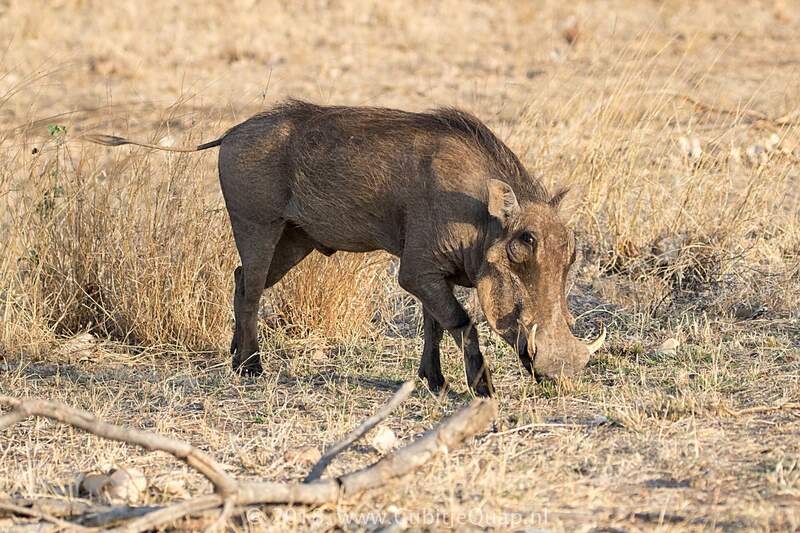 Mostly short grasses and grass roots, they browse occasionally and they rarely feed on animal matter. 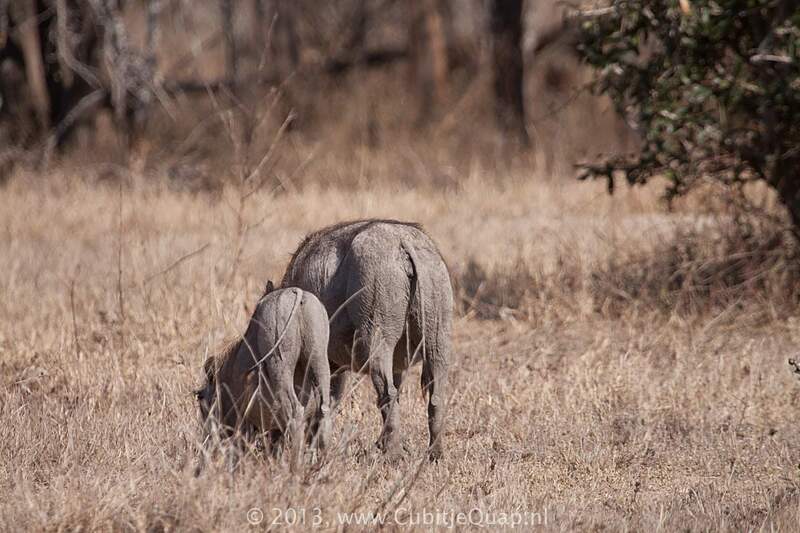 When grazing they usually kneel.